When Amelia Thistle moves to Finch, her new neighbors welcome her with open arms-and inquiring minds. Among them is Lori Shepherd, who isn't fooled by Amelia's unassuming persona. Amelia is, in fact, a world-famous artist with a rabid and eager-to-stalk fan base. In order to keep peace in Finch, Lori must help Amelia conceal her identity. Amelia, meanwhile, sets about working on the riddle that brought her to town in the first place. A fragment of a family diary hints that one of Amelia's ancestors might have been Mistress Meg, the Mad Witch of Finch. Following the clue, Lori hunts through Finch's darkest and most secret corners, all the while dodging nosy neighbors and Amelia's frantic fans. With Aunt Dimity's otherworldly help, Lori inches closer to the true story of Mistress Meg-and Amelia. Returning to the charming world of Finch, Nancy Atherton's latest novel is sure to delight faithful Aunt Dimity readers, Anglophiles, and cozy mystery fans. Lori Shepherd and her trusted Aunt Dimity are on the case once more in this coziest of cozy mysteries. This is a story full of nosy neighbors, social scandal, sordid pasts, and top-notch paranormal intrigue. 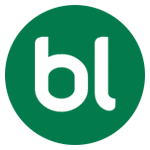 Readers of this book will find themselves privy to all the goings on of the sleepy English hamlet of Finch. Finch is a place in which time doesn't quite stand still, but it does slow down considerably. Don't be fooled by it's calm surface however. There are secrets buried here that run much deeper than even Aunt Dimity ever dreamed. The most captivating aspect of this read is the ease with which the reader is drawn into the lives that comprise the town of Finch long before the sleuthing starts. A favorite character by far has to be Lori's stuffed rabbit Reginald. A bunny of few words, he is nonetheless front and center for all secrets. It is hard to believe that this story is the 17th in the series. This book is so well written and so detailed within itself that there is no need to rely on past books for tie ins. 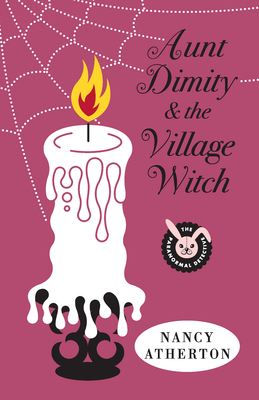 If you are looking for a bit of warm, a bit of fuzzy, a touch mystery and a whole lot of fun, Aunt Dimity and the Village Witch can weave a spell for you. I was lucky enough to receive an e-galley of this delightful book. This galley was the first that I had heard of Nancy Atherton or the delightful Aunt Dimity. I must admit that this read has captured my heart and I will be reading the series backward to 1. I am working my way through the Aunt Dimity Series and am really enjoying it. It is good to now that even up to the 17th in series it is still remarkable. Thank you for the informative review.